Sometimes when preserving wedding bouquets, I never actually get to meet the bride. More than often I deal with a family member who is having the bouquet preserved as a suprise gift. 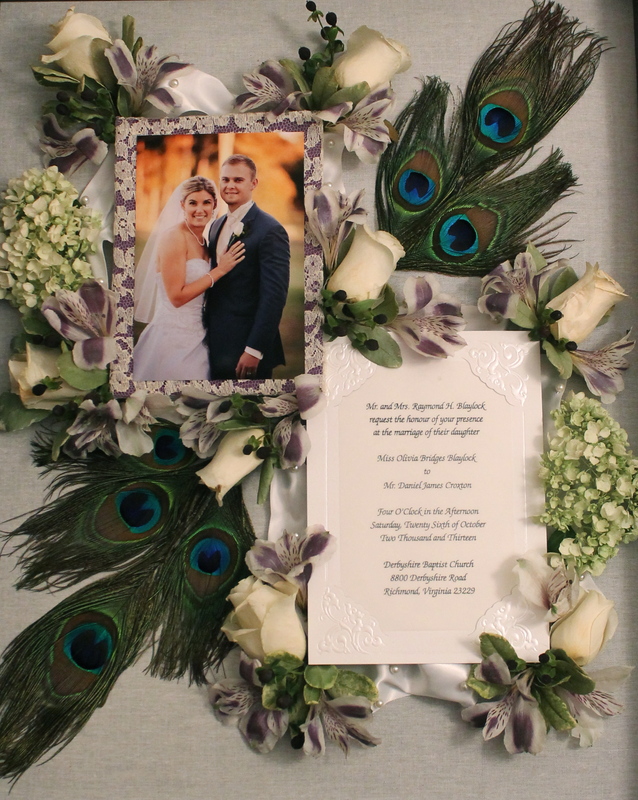 It’s really something to be able to create such a special sentimental gift for them to be able to give to the bride in their life that they care for so much. The only downside is that I don’t get to see the bride’s reaction for the first time she see’s it. I really enjoy that moment she see’s it and the smile on her face. 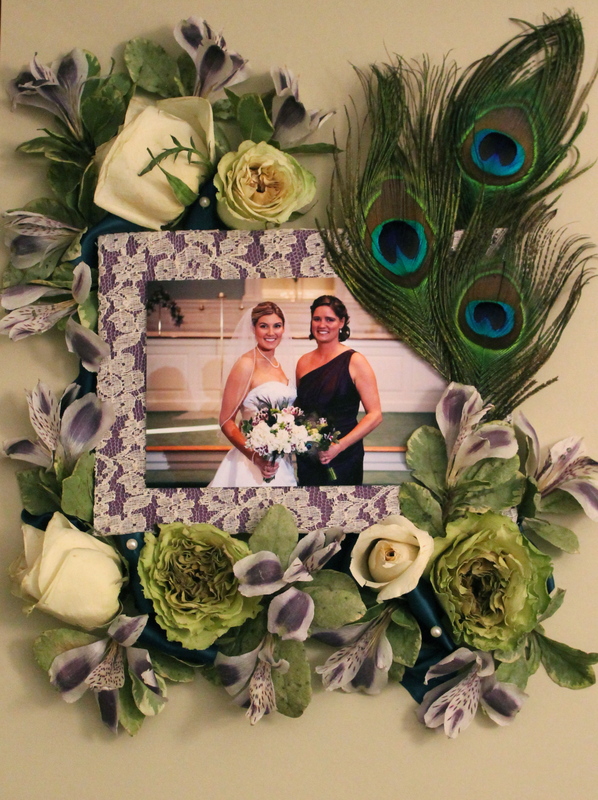 In my most recent piece I created an arrangment for the bride and her sister. She had a wedding bouquet arrangement made for her sister as a surprise and had her own arrangement made from her bridesmaid bouquet.These arrangements were both unique and special because not only were the flower arrangements gorgeous with peacock feathers added, but she also wanted a piece of their grandmother’s wedding dress put into the arrangement. Special sentiments like this that are added with the flowers make the piece even more meaningful. To top it off, she even sent me a picture of her sister holding her arrangement the day she gave it to her and let me see the smile on her face!